WASHINGTON — The Muslim couple who killed 14 in an attack on a health department party in San Bernardino last Wednesday plotted how to wage jihad on America even before their marriage, the FBI stated today. 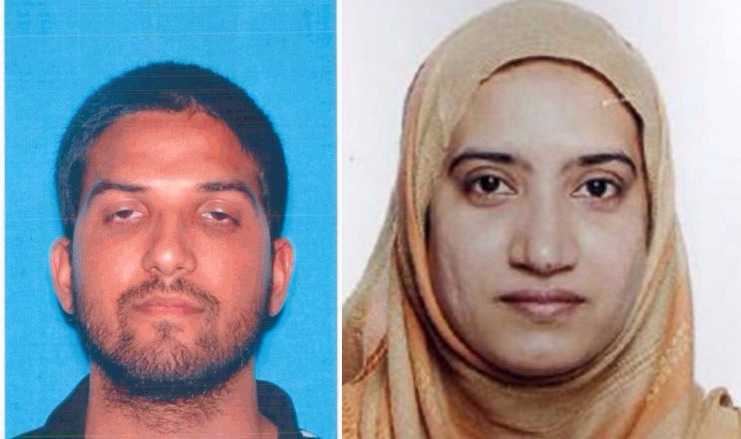 As previously reported, Syed Farook, 28, married Tashfeen Malik, 27, in August 2014 after bringing her to America from Saudi Arabia on a K-1 fiancee visa. The two had a child together six months ago. Reports state that Malik had posted on Facebook around the same time as last Wednesday’s shooting, declaring her allegiance to Abu Bakr al-Baghdadi, the leader of ISIS. It has also been found that Farook had been in contact with members of at least two terror organizations, including the Al Qaeda-affiliated Nusra Front in Syria. A friend of Farook who is stated to have supplied guns to the couple has reportedly told authorities that Farook plotted an attack that was to have been carried out in 2012, but abandoned his plan because he became “spooked” due to a series of terror-related arrests. The FBI is continuing to investigate the couple, including a supposed $28,000 loan that Farook and Malik applied for online just two weeks before the attack. As previously reported, the two had tried to “destroy their digital fingerprints,” crushing their cellphones and throwing them in the trash, and deleting files from their computer to cover up their tracks. Farook and Malik’s apartment has been characterized as an “IED factory” as 12 pipe bombs were found inside the residence, as well as a large amount of ammunition. Officials had also found a remote control toy in the couple’s vehicle following their death, which is believed to have been rigged to set off explosives. Officials were apprehensive at first about whether to classify the San Bernardino massacre as a terror attack or an incident of workplace violence, but have since made a definite declaration.